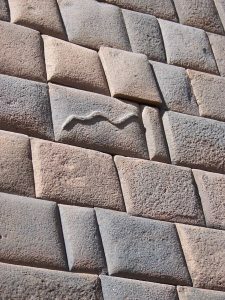 Inca stonework with sculpted snake. Filled with lots of local charm, friendly faces, dozens of amazing sites, and some of the most spectacular views in the world, Cuzco travel is much, much more than Machu Picchu. 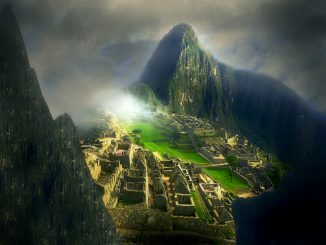 While it is not the capital city of Peru it was the epicenter and crowning jewel of the Inca Empire. 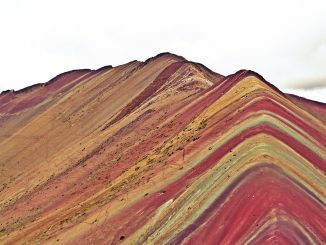 Known as the “navel of the world”, Cuzco has a history dating to before A.D. 1200 and much of the history is uniquely native. The Spanish seized the city in 1533 and established a fortress utilizing Inca foundations. There are now more that 350,000 residents of Cuzco but when you get a look at the city from above it seems like a lot more. The Plaza de Armas serves as the de facto city center and contains many of the top tourist attractions and travel destinations. In the Inca era this region of the city was known as the “Square of the Warrior” and was the scene of many important events in Cuzco history. Now it is the location of Spanish built stone arcades and the main cathedral as well as the Church of La Compañia, both of which open directly into the plaza. Initiated by Jesuits in 1576 on the foundations of the Amarucancha palace of the Inca ruler Wayna Qhapaq, la iglesia de la Compañia de Jesús is considered one of the best examples of colonial baroque style in the Americas. With a carved stone façade and gold leaf decorated carved wood alter it home to one of the most valuable collections of colonial paintings of the Cuzco School. 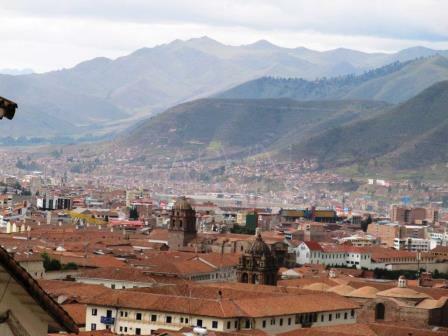 Cuzco, Peru is the most visited city in Peru. More than 1.5 million people travel to or through Cuzco each year. Many buildings in Cuzco were built by the Inca and are still in use today, 9 centuries later. The Last Supper, a 1753 painting by Marcos Zapata features Jesus and the twelve apostles around a table preparing to dine on a dinner of guinea pig. Try to schedule your first day in Cuzco so that you have nothing planned. The altitude is serious and acclimation can take some time. Coca tea can help you deal with the altitude which is over 11,000 feet, but you will not pass a drug test when you get home since it is made from the leaves of the plant used to produce cocaine. Mate de coca, as it’s known in Spanish will help combat altitude sickness and is served by just about every restaurant. Locals will chew the dried coca leaves for a little boost of energy but they are a bit bitter and you can add a little sugar to the tea. Don’t worry, it’s 100% legal and will not get you high or addicted, unless you get addicted to bitter earthy tea easily. Drink bottled water and plenty of it. Water can help you with altitude sickness and keep you hydrated on long walks around the city. It also has the benefit of preventing you from getting sick from bacteria found in much of the water throughout Peru. Consider not only drinking and brushing your teeth with bottled water but avoiding ice since not all bacteria will be killed at low temperatures. Walk. Cuzco is a big city but much of the city center can be traversed by foot. There will be at least a day’s worth of sites to see without getting in a taxi or on a bus. If you want to spend a little time on a bus with the benefit of a tour guide buy a Boleto Turistico (Tourist ticket) which will include entrance to over a dozen attractions. There is usually a partial ticket that will get you into a few of the best attractions is you want to save a little money and time. Try visiting Cuzco in the Spring. Hotel rates are a little lower and there is more opportunity to haggle for the price when there are less people trying to find a place to stay. Late September and November are two months where the weather is still nice but you will find fewer tourists. Don’t be afraid to ask the cab driver for a discount on the rate they offer. It is also required that you get a price quote before getting in the taxi as there are almost no meters and the price for a few blocks can be steep if there is not an agreed upon price.